Acid from hops adds bitterness to beer, a flavor brewers attempt to quantify with an International Bitterness Units (IBU) scale. But the perception of bitterness in beer changes with individual tastes and the amount of malt, which adds the balancing sweetness, making the scale only moderately useful in determining the "hoppiness" or perceived bitterness of a beer. Hops are the flowers of the perennial vine Humulus lupulus, a member of the Cannabaceae, or hemp family. Hops add both flavor and preservative characteristics to beer. They have varying levels of alpha acids, which add bitterness to beer. Varieties of hops that are light on alpha acids result in lighter-tasting brews. Brewers also sometimes employ a dry-hopping method that adds flavor and aroma without increasing IBU. Commercial brewers track IBU as a method of quality control, helping them maintain consistent flavor from batch to batch. IBU measures the parts per million (ppm) of isohumulone, the chemical that results when alpha acids from the hops get heated during the boil. Higher concentrations of isohumulone theoretically result in more bitter beers. But other factors affect the flavor too. Generally speaking, beers with IBU of less than 20 display little to no hops presence. Beers with IBU from 20 to 45, the most common range, reveal a mild to pronounced hops presence. Heavily hopped beers with IBU greater than 45 can taste quite bitter. Malt adds sweetness, so generously malted beers in the high IBU range can come across as more sweet than bitter, such as a dark stout. Guinness, with an IBU of 40, tastes sweeter to most drinkers than Odell 90 Schilling, a Scottish-style ale with an IBU of 27 but a distinctly bitter bite on the finish. IPAs dominate the hoppiness race, with double and triple IPAs pushing the IBU rating into the 70-plus range. By comparison, popular mass-produced American lagers such as Coors, Budweiser, and Miller land at the 10-point mark. Dogfish Head Brewery in Rehoboth, Delaware, released its Hoo Lawd black IPA in 2015 at 658 IBU, the highest lab-verified IBU rating. But many beer connoisseurs argue that any increase above 100 is nothing more than a marketing ploy as the average palate can't discern that degree of difference. Many craft beers brewers display the IBU on their labels, so you can use this number as a guide to assess your likely enjoyment of a brew before you purchase it. Lagers, pilsners, blonde, brown, and cream ales, porters, malts, and wheat beers usually come in on the lower end of the bitterness scale. 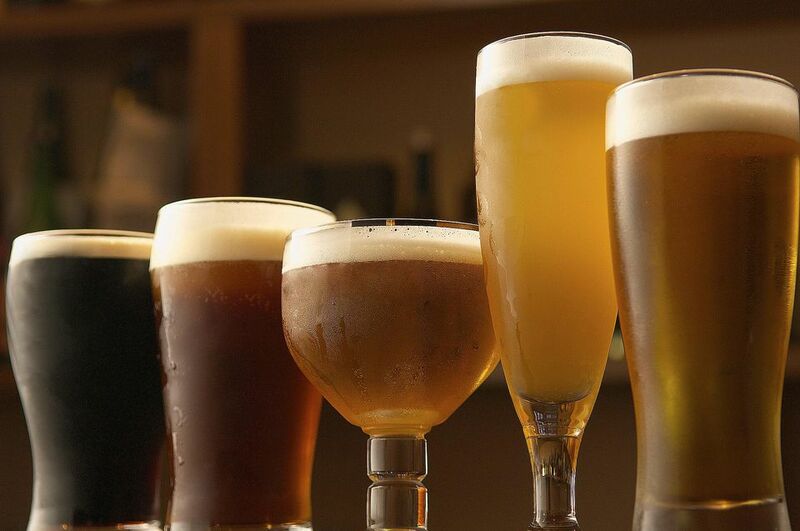 Pale ales, IPAs, and amber ales typically range higher. But remember that the presence of fruit or honey or malt can greatly affect the perception of bitterness, adding a smooth sweetness or crisp quality to the beer. It's common to find IPAs with a fruit profile, such as New Belgium's Citradelic Tangerine IPA or Ballast Point Grapefruit Sculpin. The extra flavor can come from the hops themselves, which can impart a range of flavors from fruity to grassy to spicy or from actual add-ins such as citrus zest.